This post came to mind as I rode my mountain bike this morning – no music, no sketchy or technical track – I just needed to turn the pedals. So first thing first – thumbs up for remote working! Does it sound familiar? At this rate most people, including myself, will have decided, before breakfast, that they are innately unsuccessful, not particularly resilient, average leaders and their creativity skills vanished with their primary school pencil case. But I know that that is, in my case, not the case. Why? because I have had opportunities to explore knowledge in ways that most people would not have had. Furthermore, I can use and define ‘content’/ ‘information’ in ways that most people would not. And this adds up, in my book, as deep learning abilities. I’m going to leave that comment there – I’m trying to keep the article succinct, after all, an apex predator can’t use up too much energy in the hunt. So if Google and other large IT companies want to support the development of deep learning – I’m all for it. And yes, I think technology, including AI, has a place to play in facilitating the delivery of deep learning – in any context. The key word, however, is facilitation. Technology can assist, big time, in the delivery of resources that can facilitate deep learning to any audience at any life cycle stage, but the development of such resources lies in the realms of real AI’s (Academic Intellectuals) from a myriad of disciplines, fields of study, contexts and content – working together – theoretically and empirically – to provide real hands on material – that can eventually translate into technologically delivered deep learning resources. There are no short cuts to this – no quick answers. It might sound melodramatic, but at the very least – the health of humanity depends on it – mental, emotional, physical, spiritual, sexual, material – not to mention the planet itself. So who is at the top of the knowledge food chain? AI’s should be, and they need to be working closely with organisations who are at the top of the technological food chain, because if they don’t the aforementioned organisations will, in many ways unwittingly, deliver all sorts of information that they will define – as per their scripts – deep learning, and it will leave most of humanity with another list of: “Things you need to do before lunch to be a deep learner”. 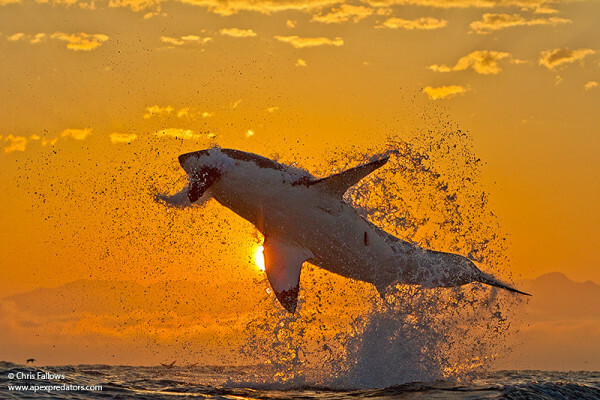 The an image of a white pointer used here was posted by Chris & Monique Fallows of Apex Shark Expeditions (July 9, 2015 http://voices.nationalgeographic.com/2015/07/09/ten-photos-of-great-white-sharks-to-take-your-breath-away/) The article, and images, are well worth viewing.